Our objective is to perform a quality preschool education which connects playing and work and contributes to a rich life of children who are in our kindergarten. We will be happy if you visit us – our door is open for you. WHY WOULD YOU ENROL YOUR CHILD IN OUR KINDERGARTEN? The kindergarten La Petite Academy is registered in the state evidence ( number 186) and performs its activities according to the demanding standards of preschool education defined in the Slovenian national Curriculum for kindergartens. The work in the kindergarten is organized so that it takes into account the needs and characteristics of children, their learning and pleasant atmosphere. 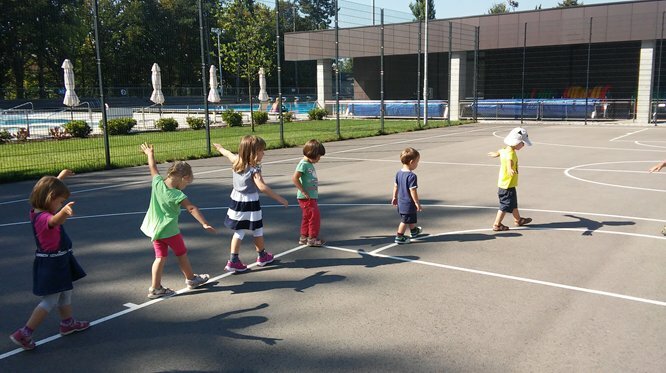 The kindergarten La Petite Academy offers children a number of activities that are included in the monthly fee: learning Slovenian and foreign languages, sciences, ecology, work in the garden, therapeutic dog, society, learning about values, sports, music, dancing, arts and mathematics. Our children are acquainted with the daily routine which is taught with patience and flexibility. We take care of children’s security and health. The teachers carefully observe possible signs of infectious diseases and inform the parents about them. We go for a walk or to the garden every day except in the case of very bad weather. The food suits to the needs of children and/or wishes of their parents. We try to buy natural food products without supplements and sugar. It is possible to get vegetarian food, food without cow milk, without wheat etc. Our kindergarten has much more place per child as required by standards and well equipped language-, puppet- , library- and geographical corner. We have many Montessori materials. The opening hours of the kindergarten are adapted to the needs of parents and children. All the employees plan and evaluate our own professional and personal development. We are a small private kindergarten caring for and educating children between 11 months and 6 years. 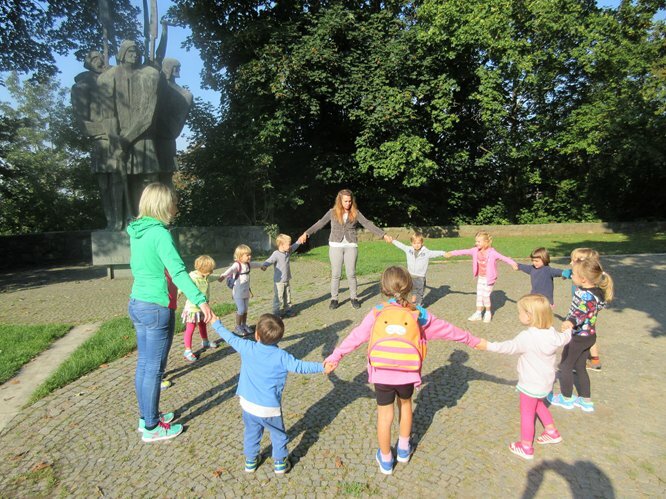 The kindergarten started with its work in September 2013, our premises are in Mencingerjeva 7 in Ljubljana. Each department in the kindergarten has at least two teachers. Among our staff are also a pedagogical adviser, director and headmaster. All the personnel of the kindergarten are checked by the Criminal Records Bureau, we have certificates on passing the examinations from safety and health and other certificates of education. We permanently improve our knowledge especially in the field of Montessori education and foreign languages. How can we help children learn foreign languages? Can parents teach their children English?